All Burlington homes currently listed for sale in Burlington as of 04/22/2019 are shown below. You can change the search criteria at any time by pressing the 'Change Search' button below. If you have any questions or you would like more information about any Burlington homes for sale or other Burlington real estate, please contact us and one of our knowledgeable Burlington REALTORS® would be pleased to assist you. 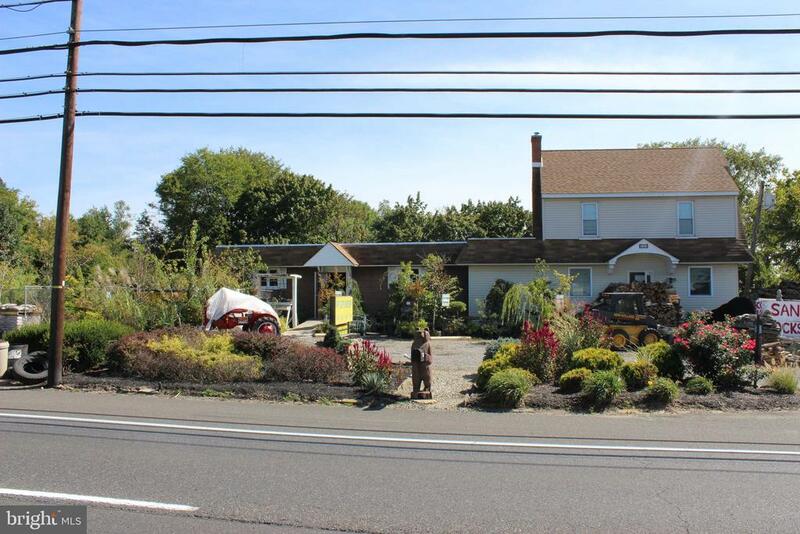 "Nursery and Garden Center on 3 acres of prime real estate on busy Route 130 near I-295 and distribution and warehouse centers. Office and three bedroom residence included." "Your dream home awaits. 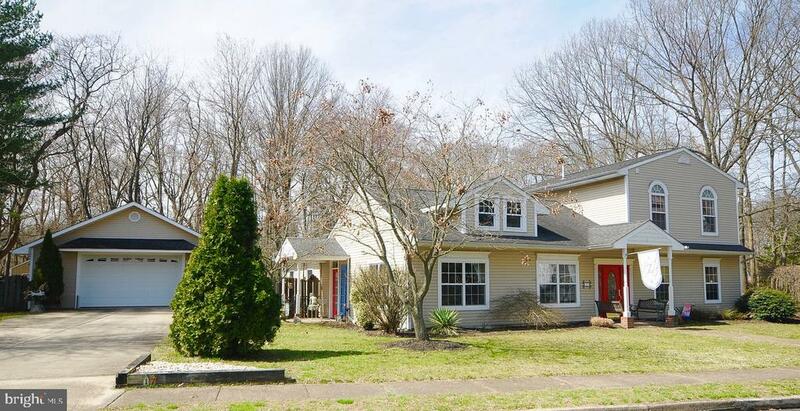 Custom built Colonial on a one and a quarter acre lot has everything that you will be extremely proud to own. Original owners have made this home a true paradise for the next owners. Upon entering the home, you have a two story foyer with hardwood floors. Large living room off to the right of the foyer. To the left of the foyer is the dining room also with hardwood floors. Then make your way to the enormous kitchen with hardwood floors that has plenty of cabinet space, granite counters, large island with granite counter and bar seating for up to four people, pantry, double sink, and completed with all stainless steel appliances that are included. A half bath is located off the kitchen. The kitchen opens to the big family room that has a fireplace with insert surrounded by brick. While still downstairs, walk out to the very large deck that can be accessed from the kitchen or family room. A retractable awning can cover a portion of the deck for those who want some shade but still has plenty of space for those who want to soak up some sun. Walk off the deck to see the in ground pool with waterfall that is heated so you can open it sooner and leave it open later to maximize the length of time you can enjoy it. Most of the pool is surrounded by a large patio that can accommodate just about any kind of set up the new owners can think of and has a separate covered area to keep all of the pool toys and equipment. Back inside, head to the second floor where to the left you will find the very large master bedroom that has a nice sized sitting area and walk in closet. Master bath has separate stand up shower and whirlpool soaking tub. And there's more. Door in master leads to the big laundry room for convenience. Washer and dryer are also included. Then the surprise continues as through the laundry room is a very large 900 plus square foot unfinished attic space that can be used for storage or even better, space to finish into a private office, exercise"
"Look no further...bright, open, and airy brick front Courtland model colonial in desirable Country Woods development. Expansive 4,672 Sqft & over $160,000 in upgrades. This well-appointed, meticulously maintained home offers a modern open floor plan which makes it excellent for entertaining family and friends. Enter the impressive 2-story foyer with gorgeous hardwood floors running throughout the first floor. Custom wide decorator baseboards. Formal living and dining rooms, Family room with gas fireplace, Study/office with French doors and built-ins, Spectacular gourmet kitchen with granite counter tops, stainless appliance package, large center island opening to a vaulted morning room with panoramic views. All with 9 ft ceilings and recessed lighting. Outdoor entertaining is easily accomplished on a private stone patio surrounded by lovely landscaping. Convenient 1st floor laundry room. You will simply love spending time in the Solarium addition...windows galore. Second floor is home to a large master suite with tray ceiling, sitting room, 2 walk-in closets. Master bathroom with soaking tub, dual sink vanity and shower stall. You will also find 3 additional generous-sized bedrooms and full bath on upper level. All with ceiling fans. Fantastic finished basement (additional 1134 Sqft.) with Full bath, Den, Game and activity rooms. Two large storage rooms offer plenty of storage. Economical multi zoned gas heating with central air. Commuter friendly location just minutes from train, major highways and shopping. Buyer will get remaining Choice Home Warranty. Come and Stay!" "A completely renovated custom built home now available. The house sits far back from the road in a wooded setting on a one acre lot. The house has been rehabilitated from the top to bottom, & from one end to other. 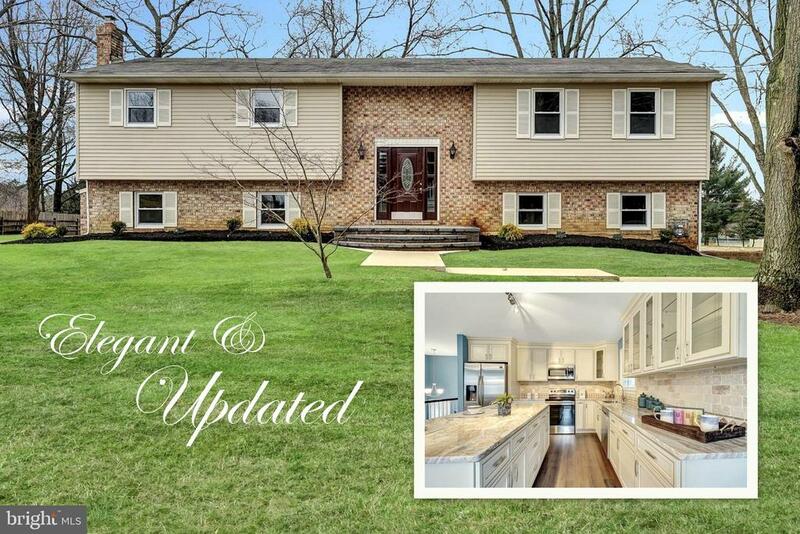 (See the end of description for a full list of upgrades) The flag shape driveway leads off Sunset Road back into the woods & splits to the right connecting to an oval turn around & the other way continues back to a 2 car side entry garage. The oval brings you to the front of the house where two separate concrete paths lead to the front door, & the other to a covered porch & 2nd entry direct to the great room.Entering from the front door you step into this center hall colonial~s formal foyer, which leads to the living room to one side, the dining room to the other, or forward to the kitchen just past the guest coat closet & stair to the second floor. 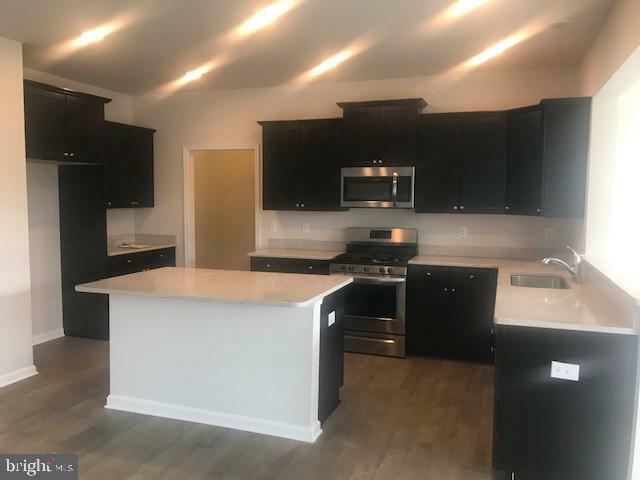 Once in the kitchen you will see a brightly lit granite counter, mod ceramic back-splash, stainless steel appliances, & top of line wood cabinets all glowing under the high efficiency recessed LED lighting. The eat-in area has a hanging pendent light fixture, but has natural light form the 2 windows & glass door, which leads out to the rear 20~ by 12~ patio & open rear yard. The patio access from there is convenient for barbecue~s & out dining. Opposite the exterior patio door is an opening directly to the dining room. The eat in area & dining room both connect to great room, where the brick fireplace can also be seen easily these connecting spaces.The great room not only has one of the two fireplaces in the house, it also has exposed wood beams, built in cabinetry, log storage in the brick wall surrounding the fireplace with a raised hearth, skylights, recessed dimmer controlled lighting, access to an exterior door leading to the covered porch & driveway. Just beyond the great room is a separate wing the house.The access door from the back of the great room leads to the rear hallway. The spaces that are acces"
"BURLINGTON MEADOWS - DR Horton, America's Builder newest and only single family home community in Burlington County! 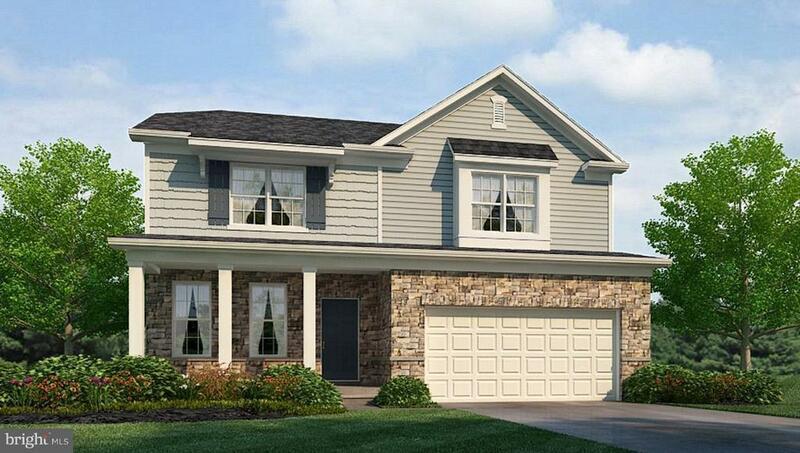 - This beautiful Winston is ready for the lucky homeowner by April 2019 delivery, Exterior amenities boast a front porch with partial stone front. Premium lot is just under a half acre backing to a scenic sunset setting. Front yard is sodded with irrigation.Interior includes flex room, open concept family room with fireplace and kitchen overlooking beautiful morning room. Second floor features spacious master bedroom with bath, huge closet and three additional roomy bedrooms! Builders warranty included, 9'ceilings on first floor and 2x6 construction. 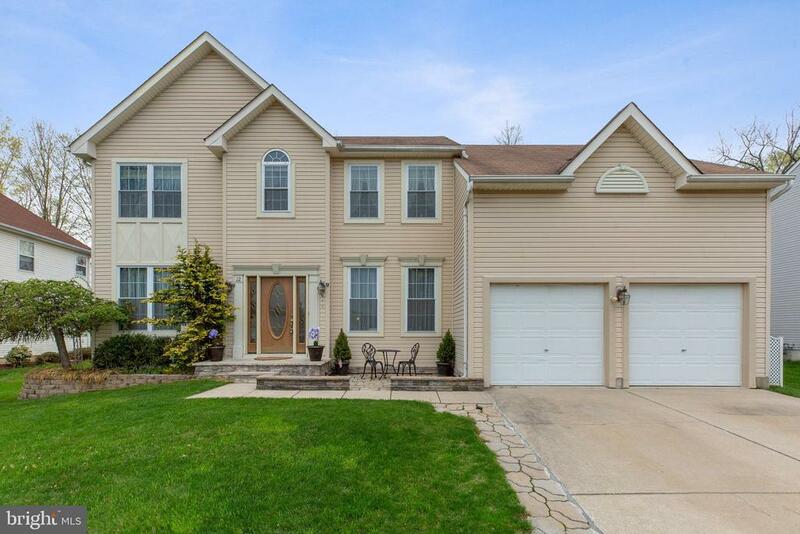 This community consists for only 20 homesites with easy access to township recreational parks, shopping, major roadways, such as NJ Turnpike and 295." "Welcome Home! 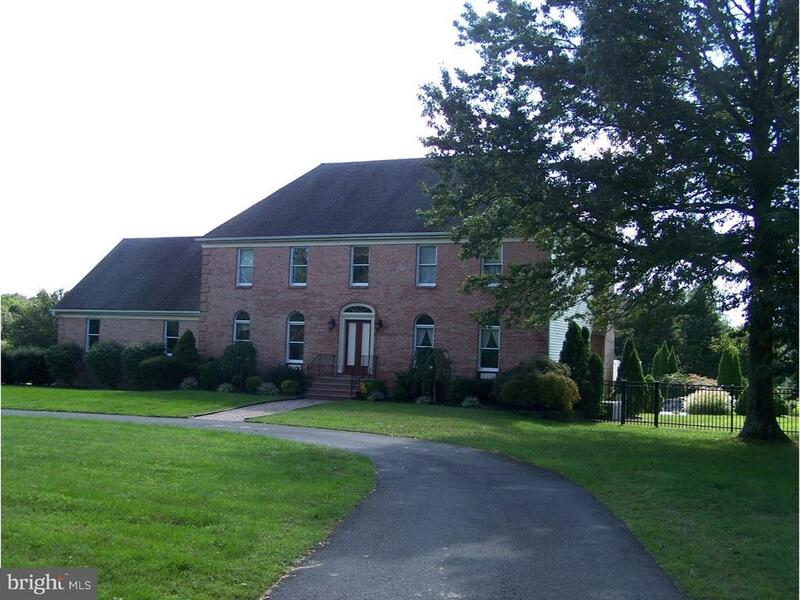 Amazing 4 Bedroom, 2 1/2 Bath Center Hall Colonial Home one of the Largest Almost 1/2 Acre Lot in Development. 2 Car Garage & Full Finished Basement w/Full Bathroom (Rough Plumbing) Avail & Plenty Of Storage. Bonus Dining Room Area Off Large Eat In Kitchen. Features 42 Cabinets, Natural Gas Oven/Range, Stainless Steel Appliances, Pantry & Plenty of Natural Light. Formal Dining Room Large Enough For Any Size Family. Large Master Bedroom w/Private Bath & Walk-In Closet. HUGE Backyard to Entertain the Best BBQ's Around. So Much Space for the Family/Kids To Enjoy! Paver Patio & Sitting Walls Off Kitchen Bonus Room Sliding Door. Location! Location! Location! Easy Commute to Rt 130, Rt 195 & NJTPK. Welcome To Your New Home!" "A Fabulous Home being offered at a fantastic price. 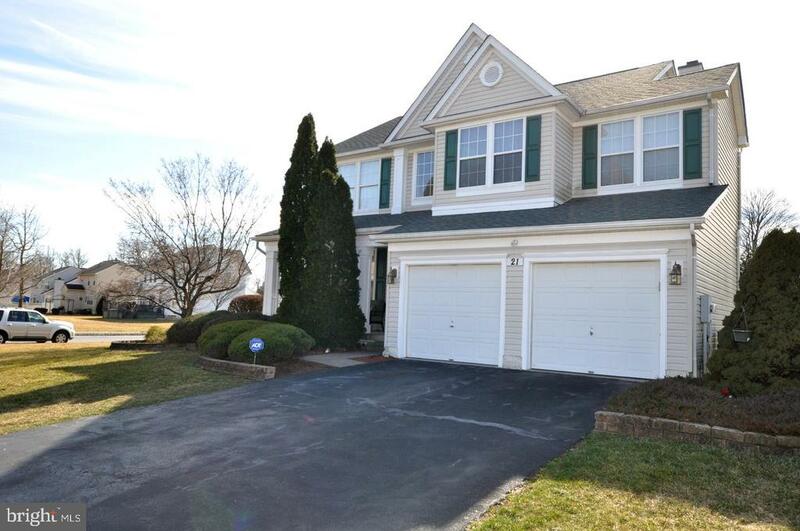 Located in the Sought After Community of Bromley Estates, Burlington Township. 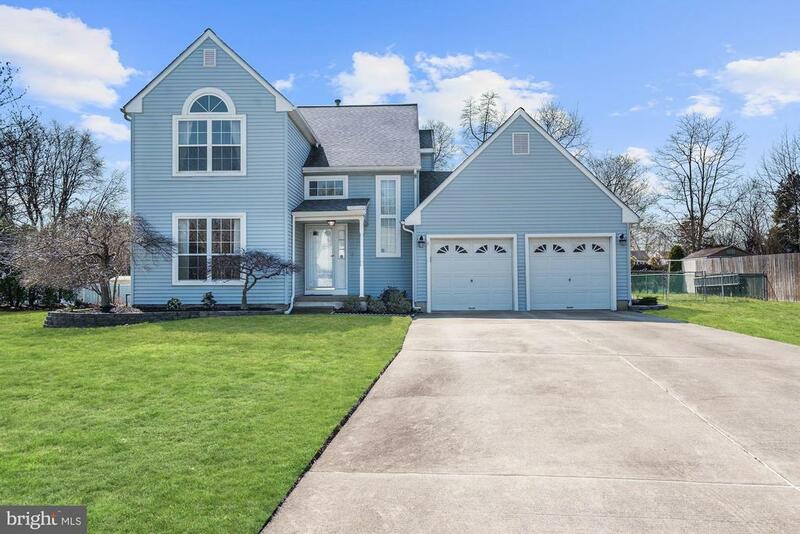 This home offers a 2 story foyer, 9' ceilings throughout. Master Bedroom has a Tray Ceiling. 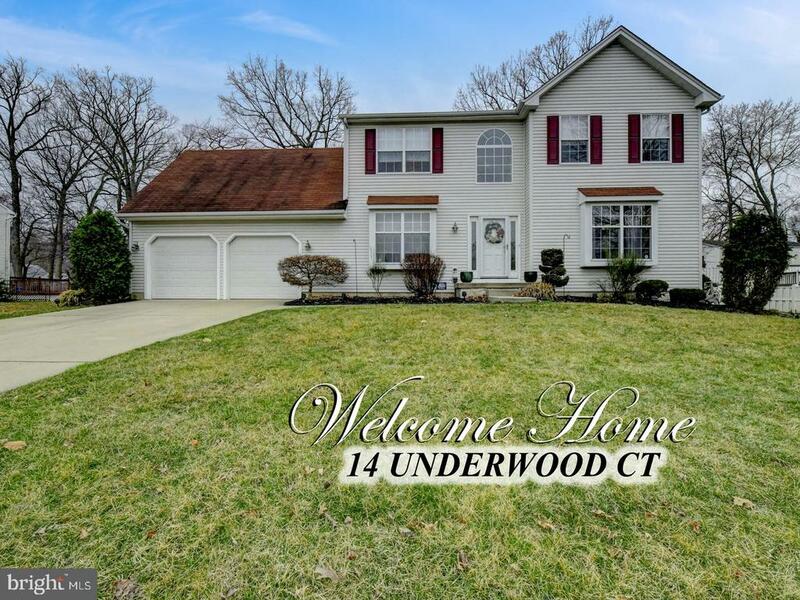 Many additions have been added to this already upgraded home such as: New hardwood floors throughout, hardwood stair treads, risers, chair rail in the DR, finished basement with baseboard heat, new HVAC system, Hot water Heater and New bathroom fixtures . The Entire Home has been freshly painted. On the Exterior, A trex deck with built in bench has been added, An In ground Pool, White vinyl fence, Expanded front porch with new columns. Solar Panels, which are owned not leased. Come see for yourself what a great home this is. Owner is in the process of moving so please excuse the boxes. Just move right in. Make your appointment today." 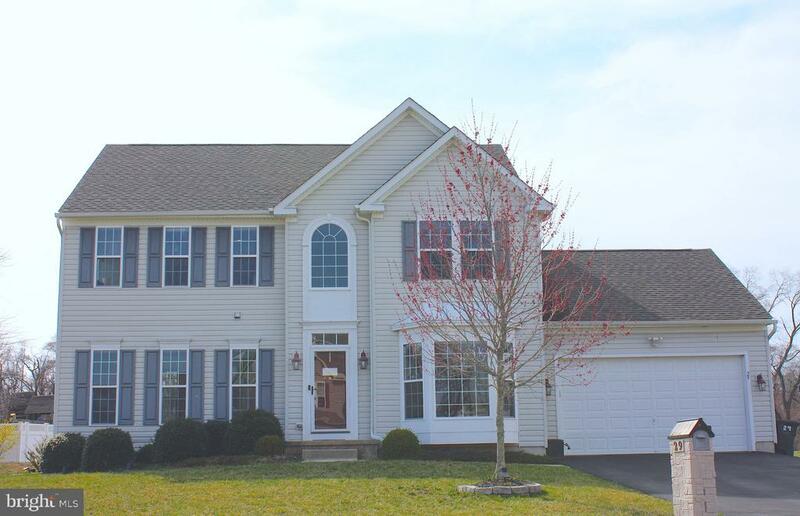 "Beautiful New Single Family Home Community in desirable Burlington Twp. Small enclave of 20 homesites on up to .5 acre homesites. This spacious WInston Model has open concept living and kitchen areas, complete with sunny Morning Rm. Kitchen is equipped with island with seating, stainless steel appliances and multi level cabinetry. Second floor features 4 bedrooms complete with Master bedroom and bath, walk in closet. Hall bath with double sinks and second floor laundry room. Burlington Meadows is located just minutes away from major arteries Exit 6 of NJ Turnpike, Rt. 295 or Rt. 130"
"Welcome home to magnificent 308 Wood Street. This 6 bedroom 2 full bath home in beautiful historic Burlington City has it all and is a block away from the incredible scenery of the Delaware waterfront. Go the other way and you will be in the heart of Burlington City restraint district with plenty of shopping and eating choices!! As you walk in you will be immediately stunned by the beauty of this home. 6 fireplaces in all, high ceilings, a gorgeous dinning room with chandler, step in to the pefect sunroom where you will want to sit for hours. The modern kitchen has granite countertops and whirlpool appliances throughout. ON the second floor you will be love the master bedroom complete with walk in closets and fireplace. Bedrooms all have plenty of space. Your family will have plenty of choices on the third floor where their is three more big bedrooms all with wonderful views. The fully finished basement is fit for a modern business with a beautiful elegant office separate entrance electric and heat. Perfect for the professional who needs to work and se clients from home! This is a very unique stunning home easy to show call and make your appointment today. You will not be disappointed!!" 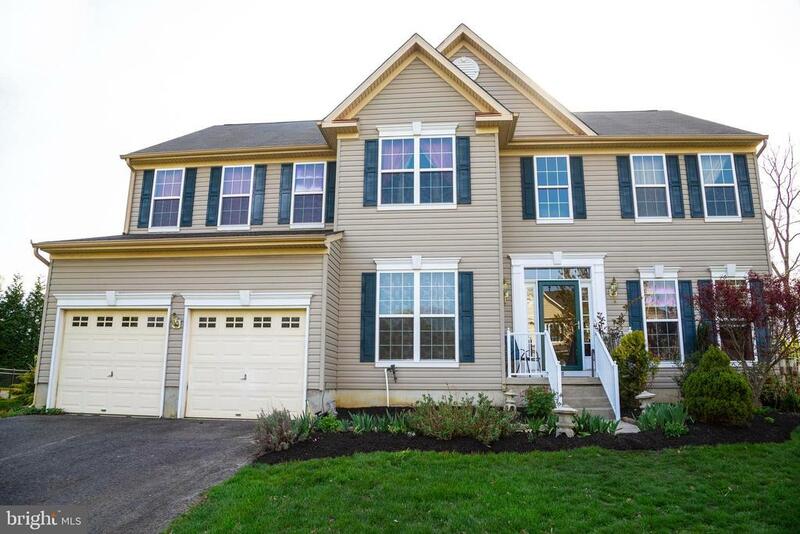 "Do not miss this sprawling 4 bed, 2.5 bath home in Bromley Estates! Enter inside the home and find both a formal sitting room and dining room and gleaming hardwood floors that carry you throughout the home. A large open-plan living area boasts a custom fireplace, large windows, and high ceilings while the updated eat-in kitchen includes stainless steel appliances, custom cabinetry and countertops, and fresh tilework making it a chef~s dream! Four large bedrooms have been freshly carpeted and offer ample closet space while the bathrooms are sizeable and complete with contemporary finishes. The basement boasts additional room for living, storage, or entertaining while the fenced in backyard is an oasis! A deck and pool are perfect for enjoying a summer day! Home features include a front lawn sprinkler system and home security system. Conveniently located near shopping centers, dining, and schools, this home is a must-see!" "Stately, historic, spacious and a spectacular riverfront view! Known locally as The Shippen House this circa 1804 brick home was originally commissioned by a wealthy Philadelphia judge, Edward Shippen, as his summer home. 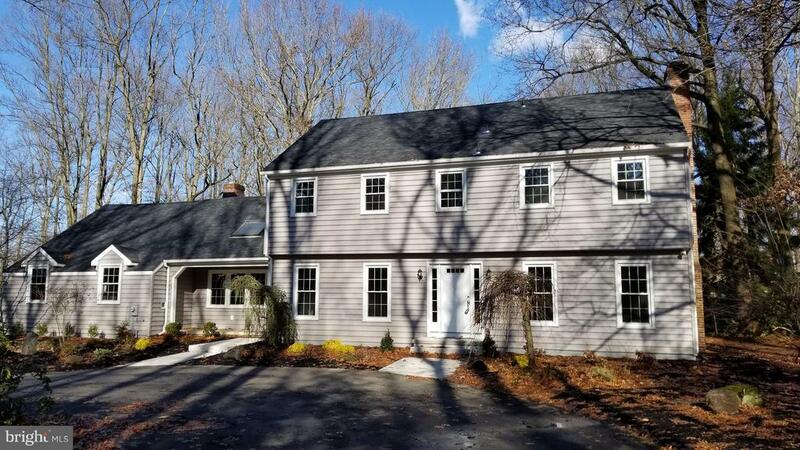 Three stories, a full walkout basement, 6(yes 6) bedrooms, 6 fireplaces and 3 1/2 baths are just part of this 3600+ sq ft home which has an unobstructed view of the Burlington Bristol Bridge and the Delaware River promenade. As you look at the pictures note that the original wide plank floors, 12 over 12 wood windows, high ceilings(some 12'), interior trim, plaster and staircases have all been preserved. Also note that although this home has been modernized with the addition of electric, indoor plumbing, a modern kitchen, central air and gas heat it has all been done as discretely as possible. The first floor consists of a spacious foyer 26' long with a conversation area and staircase, dining room, 19 x 18 formal living room with huge pocket doors and a grand fireplace with marble surround and wood mantle, sunroom with plenty of windows and a gas heater for year round use, a powder room, a butlers pantry with farm sink and copper countertop and a modern kitchen with solid surface countertops, desk area and stainless steel appliances. The second floor has a common sitting area that overlooks the river, 3 generously sized bedrooms and 2 full baths. The 3rd floor has 3 bedrooms, a full bath, a huge walk in closet and a staircase to the attic where there is tons of storage space. The full walkout basement has an unfinished 18 x 30 room with a massive fireplace just waiting for some finishing touches. The rear yard contains tall canopy trees and shrubbery for shade and privacy and a brick lined driveway for off street parking. Just minutes from rt 130, The Riverline and the Burlington Bristol Bridge." 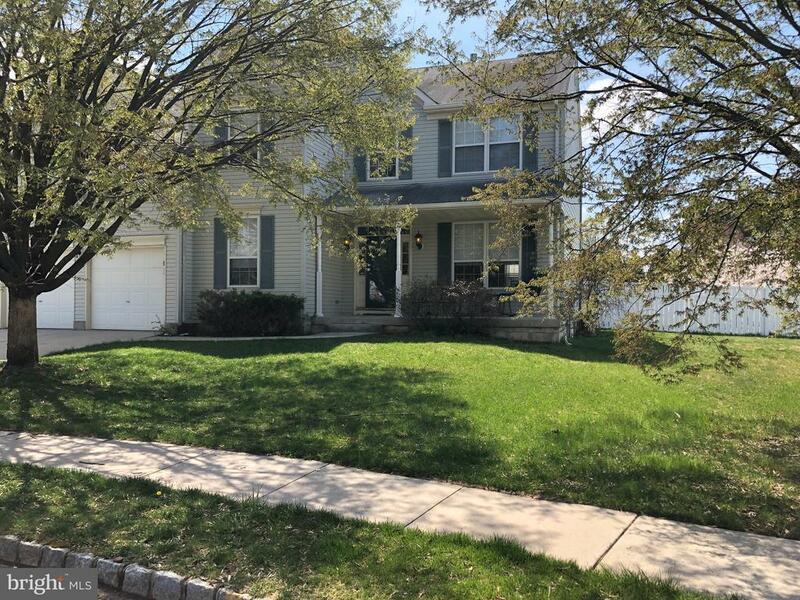 "This 4 bedroom 2 1/2 bath Colonial in Steeplechase has been freshly painted, new hardwood floors in the living room, dining room, kitchen,powder room and laundry room have new ceramic tile. New carpeting in the bedrooms and basement. Kitchen has new granite countertop and backsplash, new white shaker 42 cabinets, new appliances, new light fixtures. 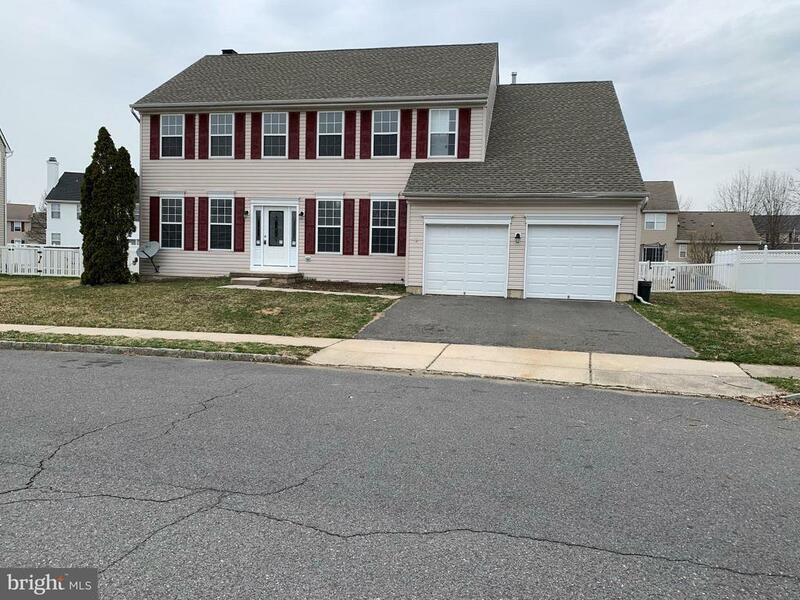 Gas Fireplace in both the family room and the finished basement New roof, newer hvac system, inground pool, concrete patio in backyard for summer fun, two car garage,"
"Location, condition, and price! 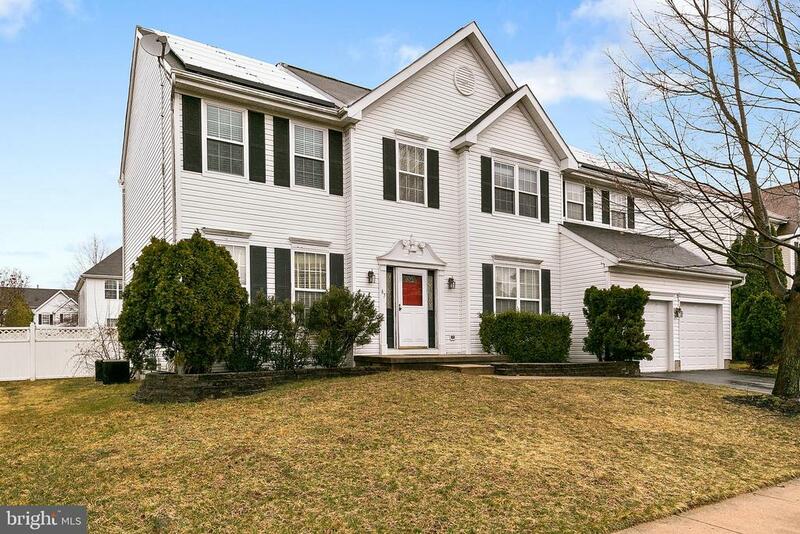 This Royal Oaks colonial has it all. Tranquility and nature intersect, with a private back yard that backs to woods and open space. Sit by the koi pond, and listen to the fountain as you unwind, or curl up with a good book under the gazebo. Ok, maybe you should begin entering through the foyer with it's hardwood floors and upgraded lighting. There's a study to the left for those work-from-home professionals. An open living room/dining room can accommodate a grandiose holiday feast! The kitchen will please any gourmet, with loads of granite counter space, an oversized island with seating for 4, a 5-burner stove, a double wall oven, and a space for table and chairs. Just beyond is the spacious family room with gas fireplace and plush carpet. Sliding doors take you to the composite deck with vinyl railings and more views, perfect for entertaining or bird watching. You can access the upstairs via the split staircase. The enormous Master Suite has recessed lighting, ceiling fan, roomy sitting area, sumptuous bath, private WC, and a walk-in closet. There's 3 more nicely sized bedrooms, 2 with walk-in closets, a hall bath with dual sinks, and a convenient laundry room. Still need more space? 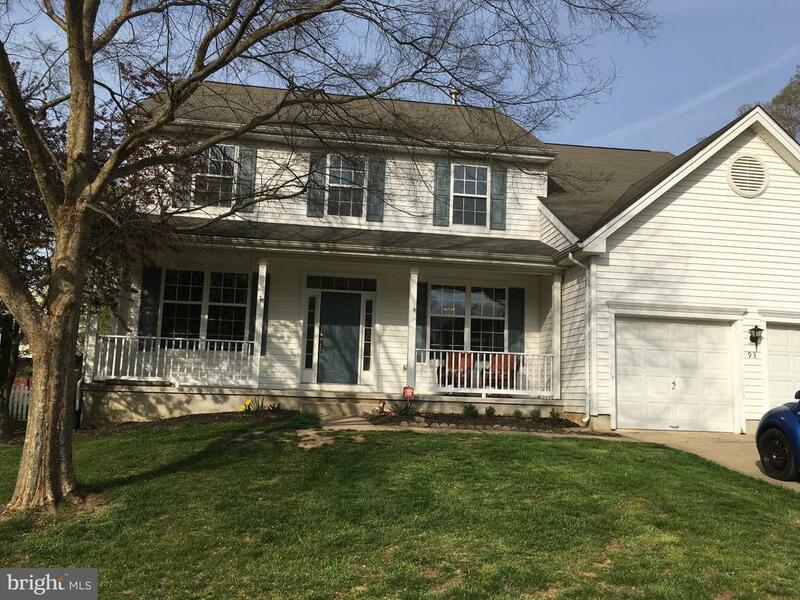 Let's visit the Walk-out Finished Basement, that provides a possible 5th bedroom (window, closets, etc), a 3rd full bath, and ample recreation space. All finished area was completed by the builder. The utility room has incredible storage potential too. Recent updates include some fresh paint, 1 y.o. carpet, 1 y.o. water heater. The freshly landscaped exterior is ready for your choice of flowers... Commuting is a breeze, with Bridges, Military Bases, and main routes just minutes away." "Beautiful circa 1805, 3 story, Federal style brick home with a carriage house in the heart of the historic district in the City of Burlington and featured on most of the Historic Holiday House tours and Garden Tours of the city. 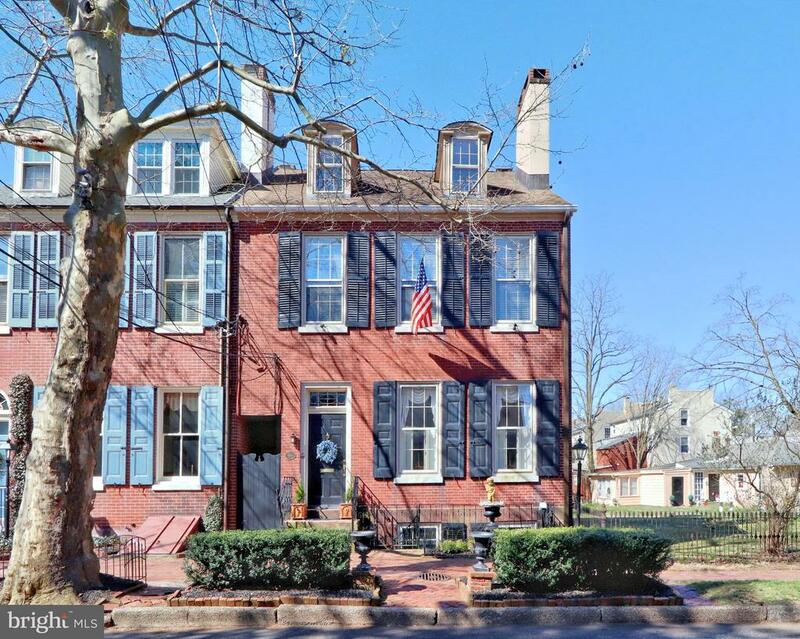 The original bold brick facade, large windows and shutters are complimented by brick sidewalks, granite curbs, granite steps and iron fencing that give this property the look and feel of its early 1800's origins. The interior of this home is spacious (approx 4300 sq ft on 3 floors) and features 6 bedrooms (could be more depending on your needs), 2 full baths, 6 original fireplaces (some with marble or Delft tile), a formal and back staircase and a full basement with Bilco door. The first floor features an impressive long foyer and sweeping split staircase designed to accommodate the nearly 11' high ceilings. Bold door and window casings, baseboards, crown moulding, ceilings and hardwood plank floors carry through as you enter the spacious and bright formal living room with its inset windows, original period chandelier and marble fireplace. The adjacent gathering room opens to the living room, foyer or 25' long side screened in porch, accessed through the French doors. The tastefully decorated dining room overlooks the porch and features a 3 tiered period mantle with Delft tile. A short hall connects the dining room to the kitchen and also allows access to the back stair or the screened porch. The updated kitchen has wood cabinets, wood edged countertops, and an eat at island with seating for 4. Off the kitchen is a 13' x 13' breakfast room that overlooks the back yard and has an original built in cupboard serving hutch. The 2nd floor is accessible from the foyer or back staircase and features an office, laundry room, library with built in bookcases and a fireplace, 3 bedrooms(2 with fireplace) and a full bath. The 3rd floor has 3 additional bedrooms. 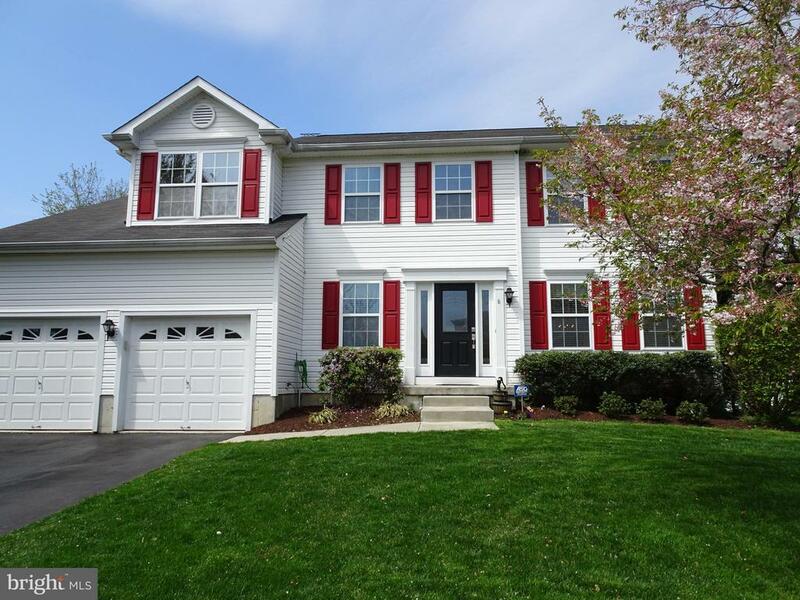 The beautifully landscaped side and rear yard have a winding brick path that takes you from "
"Welcome home to this beautiful move in ready Colonial style home that has been kept meticulously neat and clean by its original owner. USDA eligible for those who qualify. Walk in to the bright two story entry foyer that will lead you through to the open floor plan of the main floor where you will be able to entertain a lot of guests. Off the foyer to the left is the open living room and dining room area. Through the dining room enjoy the large kitchen that has been updated with granite counter tops and stainless steel appliances. There is also a nice sized breakfast area in the kitchen as well. Open to the kitchen is the big family room that has a two story vaulted ceiling with access to the back yard. Off the entry foyer to the right there is currently an office which could also be used as a sitting area or library. A half bath is also located in the foyer before you enter the kitchen. Lastly is the main floor laundry room that is off the kitchen which leads to the two car attached garage. Up to the second floor there is a center hall foyer at the top of the stairs. The large master bedroom off to the right has its own large private master bathroom with long double vanity, soaking tub, and wide stand up shower. Then enter the 150 square foot master bedroom walk in closet with plenty of shelving in which more could even be added to the next owners liking. Also on the second floor are three good sized bedrooms that all have double wide closets. Lastly a full bathroom completes the second floor. In addition to the two car attached garage, there is also a full basement for plenty of additional storage and room to finish part or all if the new owners choose. With just about a third of an acre lot, there is a large side yard and big back yard with plenty of space to entertain outside as well. This is a truly magnificent home that you can move right into and enjoy the warmth and comfort of right away." "Outstanding This beautiful Newport model is striking! Enter into the 2 story foyer and your captivated by this open floor plan. The kitchen boast upgraded cabinets/granite counter tops, upgraded appliance package and ceramic tile floors! The family room comes complete with a wood fireplace, newer laminate flooring and a scenic view. The master suite has a large garden tub and great closet space. There are 3 additional bedrooms that have spacious closets and great square footage. The finished basement features a man cave, office and additional storage space. The outside oasis boast a freshly painted deck, professional landscaping, electric retractable awning and much more!" 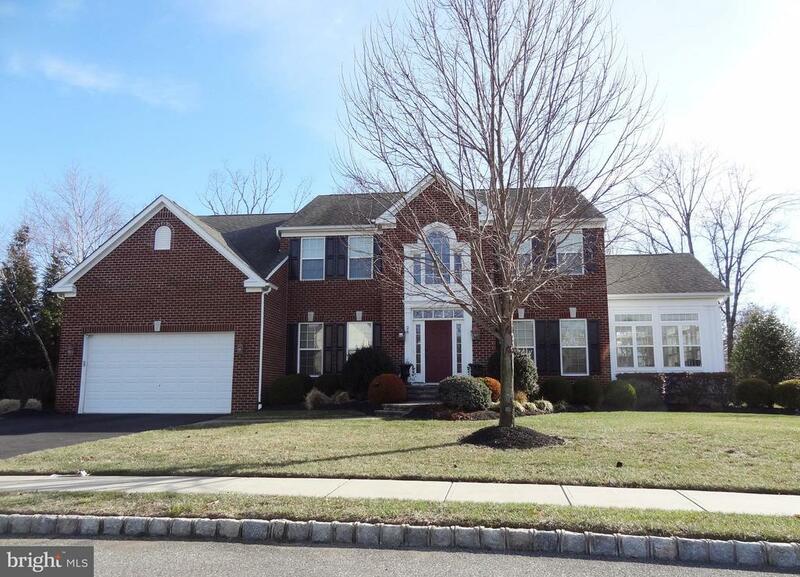 "Beautiful home in Burlington Township ready for its new owners. This home was designed for entertaining . It has almost 3/4 of an acre that you can use for your entertaining needs. It also has an addition off of the kitchen which can be used as a second kitchen. sFourized bedrooms 3 1/2 baths offers plentyf room for your family. Being sold as is"
"GorgeousThe minute you enter this amazing 2 story foyer You are captivated.The rich cherry hardwood floors are breathtaking running thru-out the first floor.The elegant dining room boast crown molding;while the luxurious living room allows access to a private office thru double doors..The gourmet kitchen comes complete with a 5 burner stove,upgraded cabinets, partially stainless steel appliances and upgraded tile flooring.The convenience of a first floor laundry is priceless.The family room features a 2 story ceiling,gas fireplace with a beautiful marble mantle with access to the office.The upstairs is also majority hardwood floors and has a separate heating system.The master is huge and has two walk in closets.The master bath boast a garden tub and huge shower.The additional bed rooms have great closet space and are all spacious.The partially finished basement adds a whole new dimension to the house.There is a large game room.Two possible additional offices or recreation rooms and a downstairs full bath room.This walk out basement is perfect for a possible pool because of the downstairs shower.The outside Oasis is currently fenced and ready for the summer activities." "Homeowner's dream. 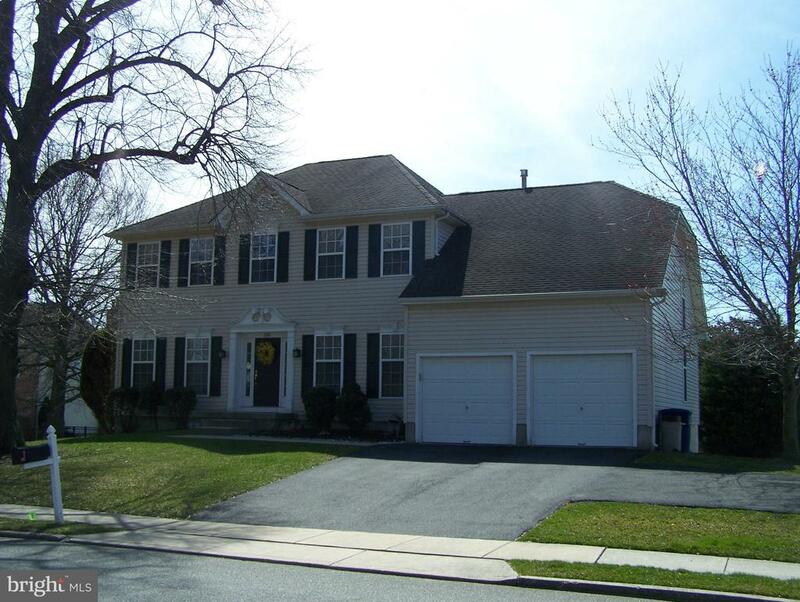 Beautiful turn-key colonial 3 bedroom 2.5 bathroom home. High Ceiling. Wood flooring on the first level and carpet on the second floor. Wood burning fireplace gives the family room a cozy feeling. Formal Living room and formal dining room. updated eat in kitchen that leads to the wrap around deck. Finished basement with high ceiling and family room. Master bedroom suite has Garden tub and separate stand up shower. Two car attached garage and driveway that can accommodate 6 cars. (More Pictures Coming Soon)"
"YOUR HOME SEARCH IS OVER!! This Beautiful Soprano Model (2484 sq. ft)features 4 Bedrooms 2.5 baths, 2 car garage and is located in the quiet creekside community of Fawn Hollow. From the moment you step inside you will notice a open floor plan that offers maximum livability and is a great lay out for entertaining guests. On the main level there is a formal living room with vaulted ceiling and a spacious dining room both with hardwood flooring. The kitchen includes upgraded cabinets, new appliances plenty of counter space to prepare meals and a breakfast area with a bay window. Adjacent to to the kitchen is large great room with a gas fireplace. Retreat upstairs to the master bedroom suite that includes a large walk in closet and a master bathroom with Jacuzzi tub, separate shower and dual sinks. There are 3 additional bedrooms upstairs and a hall bath with new vanity. Completing the second level there is an open loft area for office space, playroom or home gym. If that's not enough you will enjoy having additional living space and plenty of storage in the large finished basement. The backyard is spacious and there is a shed for additional storage. The location is great, conveniently located near all major highways, schools, shopping and restaurants. Hurry this won't last !!! To help visualize this home~s floor plan and to highlight its potential, virtual furnishings may have been added to photos found in this listing. Property being sold strictly as is"
"Home sweet home indeed! 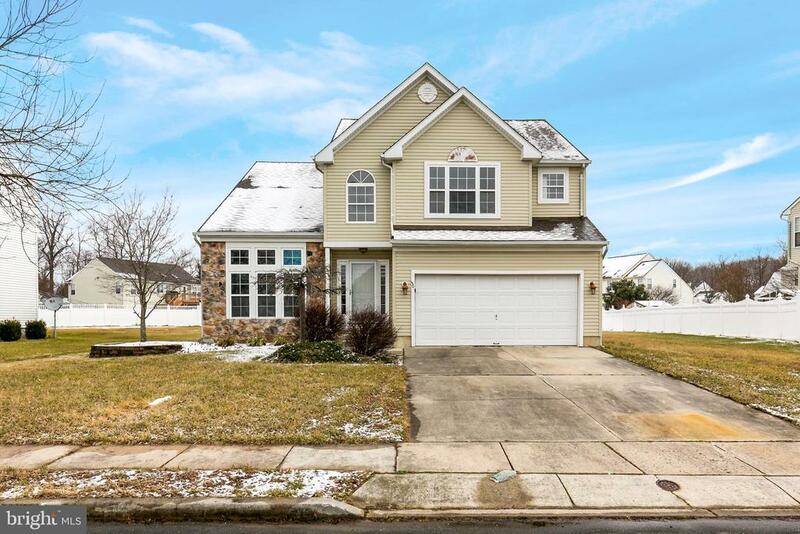 Welcome to this beautiful 4 bedroom, 2.5 bath colonial home nestled in Pipers Run in Burlington Township. From the street, you can see how nicely this house sits on the .5 acre lot, offering an extra long driveway and a deep, private backyard. Step inside the front door and notice the 2 story foyer, and gleaming hardwood floors that flow through the entryway, living room and formal dining room. See the natural sunlight as it streams through the many windows and complements the warm color palette of the freshly painted rooms. Continue to the adjoined family room and spacious eat-in kitchen. The owners chose to expand the family room foootprint by 2 feet and bump out the kitchen 4 feet. The family room is cozy, features a gas fireplace with wood mantle, and has windows overlooking the backyard. The full eat-in kitchen has ample oak cabinetry, and beautiful granite counter-space, tiled backsplash, and glass sliders that open to the wood deck. The laundry room is located off the opposite end of the kitchen and is flanked by the half bath and 2 car garage complete with storage access, automatic openers and exterior keypad,. Additional space to utilize as you choose is conveniently just steps away in the finished basement. This open space is versatile, features rare 9 foot ceilings, has an additional built in space heater, storage areas and Bilco doors which make it super easy to move things in and out! The second story floorplan includes a Master bedroom with vaulted ceiling, private full bath with soaking tub, shower and walk-in closet. Three more generous sized bedrooms, a full hall bath and pull down attic access complete this level. In addition to the functional layout, the home also includes ceiling fans in all of the bedrooms, alarm system, exterior motion/floodlights, in ground sprinklers, concrete patio, wood deck, and 16x12 shed. Recent improvements include HVAC and hot water heater (2016) and roof, gutters & cap work (2014). " "Custom and Extraordinary! This 2800 Sq Ft home was totally renovated in 2007. Renovations include a Master Suite on 2nd level with 1 formal walk-in closet with chandelier and additional walk-in closet, 10 ft ceilings with crown molding, Master Bathroom with o/s custom tiled shower and quality vanity. The main floor has desirable open and flowing floor plan and is enticing from either entry into this home with gleaming hardwood flooring in hallways, steps, living room and dining rooms. There are two additional bedrooms and a full bath on the main level for those not preferring steps. The stunning kitchen renovation completed in 2007 offers architecturally delightful open ceilings that are one of a kind, 42 custom cabinets, granite counter tops and center work island with pendulum lighting. Pass through the unusual and exquisite tiled archway to your formal dining room that will offer amazement to your dinner guests. The French doors from kitchen invite you into the 32'x 21' family room that was part of the major renovation completed in 2007. Pool table may stay if buyer is interested. The split system heating and AC unit was installed for comfort year round. The view from this room will engulf you in the incredible nature filled rear yard, with Koi pond that filters into continuous waterfall back into the pond system. Landscaping is manageable and aesthetically pleasing, making the backyard your oasis. Best of all is the 28' x 40' over-sized garage with heat, electric and AC, 2 additional rooms and pull-down access for attic storage. The outbuilding can be used for avid hobbyists, mechanics, or home business enthusiast. This .63 acre property is located in a very private development, yet close to all major roadways for easy commuting. This is truly a one-of-a-kind find. Once you enter, you will not want to leave." "Welcome to this 4 bedroom 2.5 bath home. This large bright and sunny home is just waiting for you. So many upgrades and attention to detail. As you enter the large foyer you will see the living and dining room combination that provides an open and airy feeling. The recently updated kitchen offers granite counter tops, center island, tile back splash, large, deep kitchen sink. This is a eat in kitchen that overlooks the large family room. The family room leads to treks deck and the deck is attached to the pool. Deck also offers a electric Sunset awning. Off of the kitchen is a laundry room that leads to the garage. The finished basement is just the place to gather for gaming or TV time. Also, lots of storage areas. Upstairs you will be delighted with all the closets, the master has two walk in closets! A large master bath with a Jacuzzi soaking tub and a stand alone shower. The bedrooms are large and the hallway overlooks the vaulted family room. You will be pleased with this secret development that is tucked away and so close to all major roadways. Solar panels come with the home and produce so much energy that you will have not electrify bill." "There's so much to LOVE about this home. Here are just a few things: the master suite with his and hers walk in closets are perfect! The large front, side, ad back yard are are like having your own park! The open layout kitchen/living room/dining room create a fun and warm place to entertain family and friends! The 2 in 1 bluetooth speaker/ventilation fan allows you to wirelessly play music from your cell phone, tablet, or other bluetooth device. Step into the rear enclosed porch to enjoy the beauty of mother nature right in the backyard!This property has just hit the market and there are already several showing requests to see it. Schedule your appointment today before it's too late!"